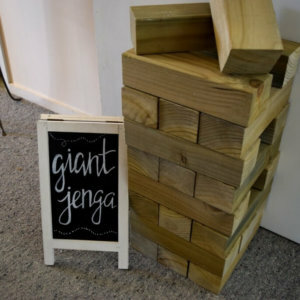 Our range of garden games is growing and we are keen to construct games that you are keen hire. Outdoor family friendly games to play in the garden at special occasions. Currently we have giant jenga style game, giant pick up sticks.